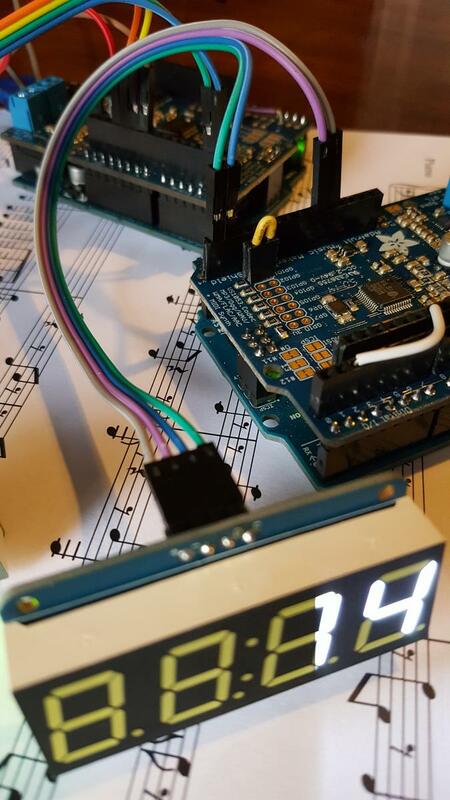 Professor David De Roure and Pip Willcox, two Oxford members of the FAST IMPACt team, presented an Ada Lovelace inspired paper ‘Numbers in Places: Creative Interventions in Musical Space & Time‘ at the recent Audio in Place workshop at ACM MobileHCI 2016 in Italy last September. The aim of the Audio in Place workshop was “to explore the possibilities, issues, challenges and application of methods for understanding, creating meaning and using audio content, for users of mobile devices”. The workshop was part of MobileHCI 2016, the 18th International Conference on Human-Computer Interaction with Mobile Devices and Services, which was held in Tuscany from 7-9 September 2016. Now Professor De Roure and Pip Willcox (Head of the Centre for Digital Scholarship, Bodleian Libraries) are investigating what Lovelace might do today—with an ‘orchestra’ of microcontrollers instead of the analytical engine. Arduinos (programmable circuit boards with software) designed in the Oxford e-Research Centre are used to replicate the Numbers into Notes web application tool as a small standalone ‘music engine’. These can then be controlled by participants using infrared remote controls and proximity sensors to select and map a subset of notes to individual instruments. More on this news item here.